Unique Feature: I think the best feature in this cookbook is the section on Cooking & Gardening Tips. From Hughey's recommended pantry list (complete with her reason's "why") to her Urban Gardening Tips to her tutorial on growing her favorite condiment- sprouts. Fun, unique, and very interesting. My Thoughts/Review: It is very obvious that this freshman effort by Hughey was a labor of love. She put a lot of thought into this book that is punctuated with quotes, poems and musings. Many of the recipes I would classify as "semi-homemade". They call for things such as bottled dressings, condensed soups, gravy mixes, canned sauces, and squeezable tubes of garlic...things not normally housed in my pantry. That said, many home cooks do keep these things handy and use them on a regular basis, so they could find these recipes very suited to their everyday needs. I do, however keep canned beans, tomatoes, and a few other condiments handy, so I was able to envision some of these dishes in my own kitchen. 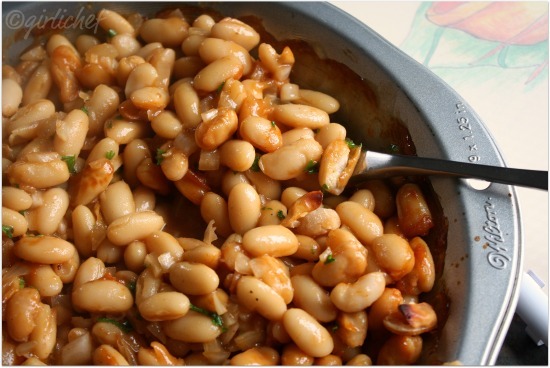 As I write, a fragrant pan of Hughey's Missouri Baked Beans is assaulting my senses from the oven. This is a very user-friendly cookbook, with spaces left for your own notes and Hughey's girl-next-door style. While I wouldn't recommend it for a chef or a well-seasoned cook, I do think it would be a great addition to the collection of somebody who doesn't enjoy spending loads of time in the kitchen (I've heard that there are people like this out there) or who is just "learning the ropes". It's a great book for beginners and semi-homemaders. Combine all ingredients and pour into a 9x9" glass pie pan I just used a 9" metal pie plate coated with non-stick cooking spray. Bake in a preheated oven at 425° F until bubbly and thick mine took ~20-25 minutes. I also seasoned to taste with salt, pepper, and fresh parsley. I liked them...simple yet very flavorful. I mean...beans are good food☺! 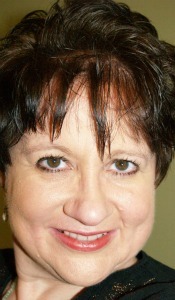 about the author: Cheryl Hughey is a St. Louis-based author that has been published in Natural Muscle, Ms. Fitness, Concierge Magazine, West End Word, Sauce, Intermission Magazine and more. A candidate for a black belt in taekwondo later this year, Cheryl often finds often finds inspiration by working in her garden. *I received a free copy of this book to review from the author. All thoughts and opinions stated in this post are 100% mine. I NEED that book now and the beans look gorgeous, as is the photo! A wonderful tasty post! Thanks Cheryl,I live in France is that a problem for postage? Not at all. I use an online postage service. If you send me your address, I can get an estimate for you fairly quickly. Email feedme@oldtimeygifts.com with your address. The comb bound version girliechef reviewed is $8.99 plus postage. I'll even autograph it for you. An article I found claims that Lulu actually has a printer they use in France. Not only does that bean dish look fantastic but the title of the book alone id perfection! Fun review. I do like cookbooks with musings. I may not keep a lot of processed stuff in the house - but I can always figure that out! If the rest of the recipes are as great as these beans, I must get this book! Maris, I'd be honored. Here is the link to some pics of the food behind the scenes while making the cookbook. What's bad about a book like this is that it is limited to the USA and countries that have all the bottled, canned and boxed stuff she uses. Or so it sounds like it. I avoid recipes using these kind of pantry items since I normally can't get it in Europe (or outside the UK?). That said, I liked your honest review and would think it great for someone who wants to cook but doesn't, or prefers the rapidity of semi-cooked. Good review. I'm happy to always make suggestions. Not all the recipes use convenience items. If there is one, they are general/brandless items like evaporated milk, beans or 2-3 recipes use condensed cream of mushroom soup. With the exception of the Dreamer's Sausage Gravy (recommends a brandless gravy mix) and the Missouri Baked Beans (an Asian gravy sauce for sweetness/color) and the mention of tofu, Seitan or brandless vegetarian meat substitutes, most everything is generalized. If it is a convenience item mentioned above, we completely avoided using name brands. I may mention using vegetable bullion or a non-brand Cajun spice mix (anything with a little kick will do). There are a lot of what I consider to be completely homemade recipes like the Vegelicious Omelet, Whey Good Biscuits, Time Clock Chicken, vegetable broth, Vivacious Vidalia Onion Soup, Lima Better Bean (you could substitute the Cajun spice for a bit of red pepper), Weeds & Mushrooms, Refrigerator Pickles, Chunky Queen Bee Applesauce, Crusty Mashed Potatoes and the Pumpkin Pie Rice Pudding. However, in other recipes not using fresh ingredients, we do recommend things like canned tomatoes, frozen/canned veggies and soy sauce. We do mention corn flakes as a base for the Oven Fried Chicken Legs. The diet was created as a transition from the drive-through burger life to wholesome simplicity.